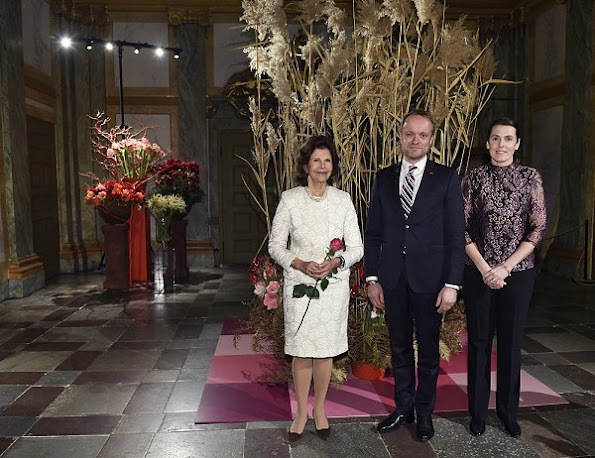 Queen Silvia of Sweden attended opening of the "Floral Christmas" (Barock Blomsterjul) flower show at the Drotningholm Palace on December 1, 2016 in Stockholm, Sweden. The Floral Christmas show has been created by Court Florist Claes Carlsson in Drottningholm Palace's Baroque setting. The Queen needs to lay off of the plastic surgery.